Lady Wave starters take the night off in win over the Trotwood-Madison Lady Rams. 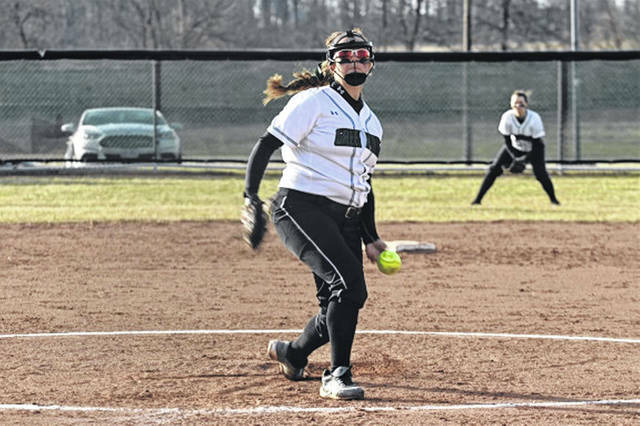 Kennedy Fashner throws two hitless innings in Lady Wave 17-0 run rule win over the Trotwood-Madison Lady Rams. Lady Wave wins home game over Trotwood. Lady Wave assistant coach Denny Ruble takes a turn in the third base coaching box in Wednesday night win over Lady Rams. Caitlin Christman picks up a win for the Lady Wave in 17-0 run rule win over Trotwood-Madison Lady Rams. 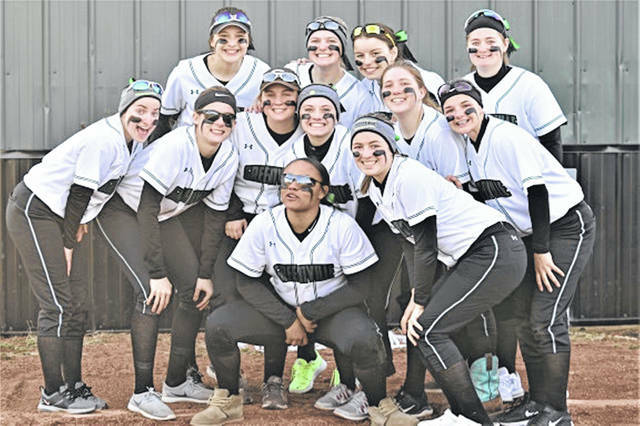 GREENVILLE – Greenville improved to 3-0 on the season with the 2019 Lady Wave starters in tennis shoes riding the pines in the dugout giving the younger team valuable varsity experience while earning a 17-0 run rule win over the improved Trotwood-Madison Lady Rams. Caitlin Christman and Kennedy Fashner combined on the mound to strike out 15 Lady Rams while the young Lady Wave defense was playing error free ball. The Lady Wave plated six runs in the opening inning to lead 6-0 after one and continued to rack up hits tacking on six runs in the second inning to lead 12-0 with two innings in the book. 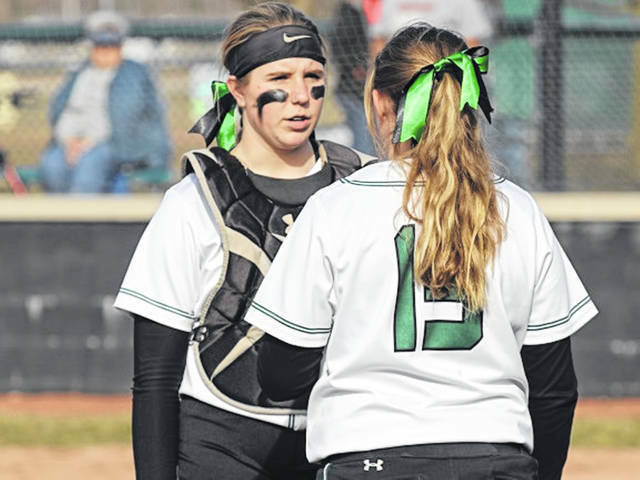 Greenville coach Newland used the ‘leaving the bag too early’ showing respect to the visitors to plate one run in the third and closing out the Lady Wave’s night at the plate with four runs in the bottom of the fourth. Christman was credited with the win for the Lady Wave throwing three innings of 1-hit ball, allowing no runs while striking out eight and walking one. Fashner pitched two innings of no-hit ball in relief recording the last six outs to earn the save for Greenville. 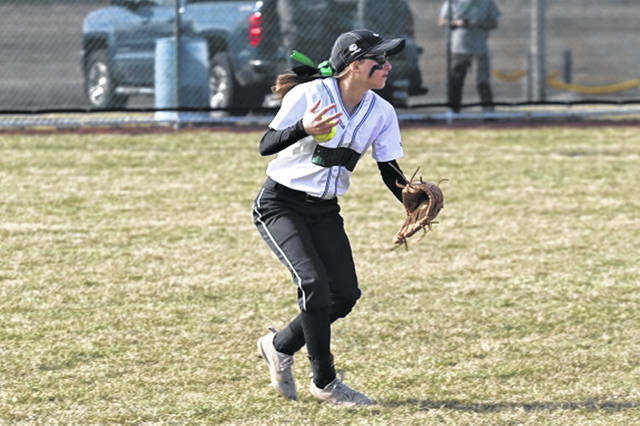 Layne Claudy went 2-2 with a RBI and a run scored, Emliee Bowling was 1-2 with a double, 2-RBIs and 2-runs, Keira Beavins went 1-3 with a double, 2-RBIs and 2-runs, Rylie Norton was 1-3 with 2-RBIs, 2-runs and Saige Fellers went 1-2 with 2-walks and 2-runs scored. The Lady Rams issued a total of 11-walks on the night. https://www.dailyadvocate.com/wp-content/uploads/sites/34/2019/03/web1_IMG_5621.jpgLady Wave starters take the night off in win over the Trotwood-Madison Lady Rams. 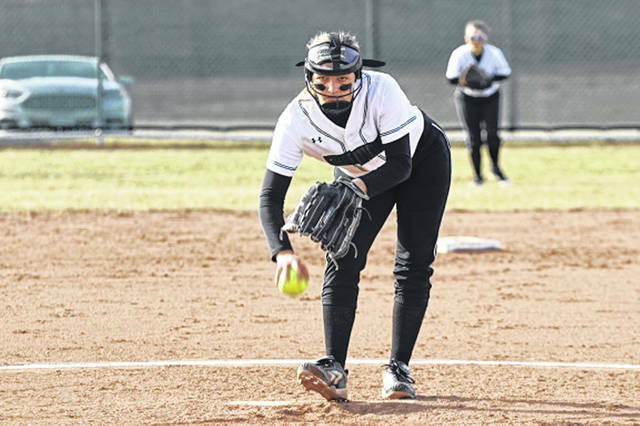 https://www.dailyadvocate.com/wp-content/uploads/sites/34/2019/03/web1_IMG_5580.jpgKennedy Fashner throws two hitless innings in Lady Wave 17-0 run rule win over the Trotwood-Madison Lady Rams. https://www.dailyadvocate.com/wp-content/uploads/sites/34/2019/03/web1_IMG_5525.jpgLady Wave wins home game over Trotwood. https://www.dailyadvocate.com/wp-content/uploads/sites/34/2019/03/web1_IMG_5518.jpgLady Wave wins home game over Trotwood. 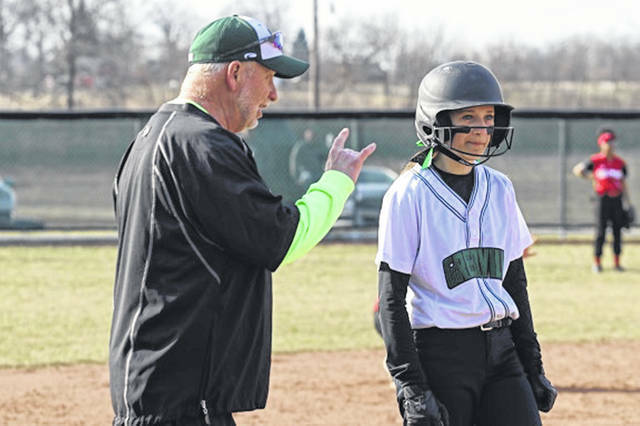 https://www.dailyadvocate.com/wp-content/uploads/sites/34/2019/03/web1_IMG_5289.jpgLady Wave assistant coach Denny Ruble takes a turn in the third base coaching box in Wednesday night win over Lady Rams. 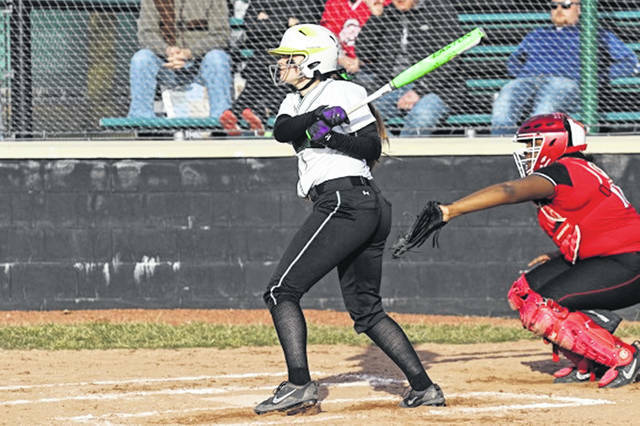 https://www.dailyadvocate.com/wp-content/uploads/sites/34/2019/03/web1_IMG_5118.jpgLady Wave wins home game over Trotwood. 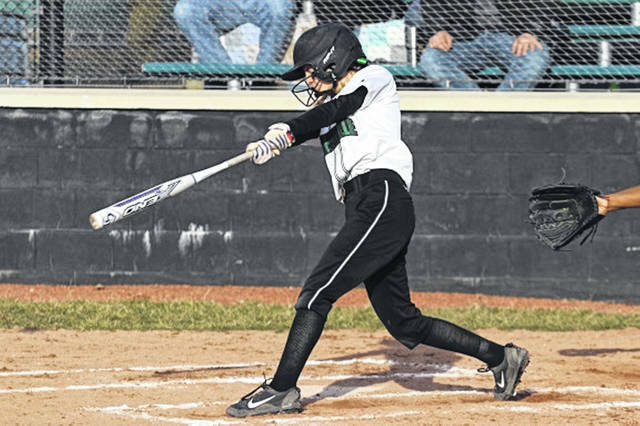 https://www.dailyadvocate.com/wp-content/uploads/sites/34/2019/03/web1_8-inches-Christman-a-Copy.jpgCaitlin Christman picks up a win for the Lady Wave in 17-0 run rule win over Trotwood-Madison Lady Rams.